So ... cue eleven pipers piping. Well, okay, this isn't a book about beer. But for a determined beer lover to pretend that things other than grains cannot be fermented to good effect would be self-delusional. For flavor, history, sales and economic impact, and influence, that 'other' good fermentable would be wine. Fermented grapes. A lot of beer folk seem to have a love/hate relationship with wine. 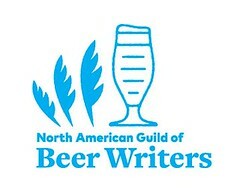 They say they don't like wine, or its perceived haughtiness, yet they often compare their beers, falsely, to it. Better to understand wine —its flavors, processes, fermentation science, and marketing— and take what you can from it. Or, try it, and actually like it. Sommelier Marne Old and Sam Calagione, charismatic owner of Dogfish Head Brewery, have a book out called He Said Beer, She Said Wine. It's a breezy set of arguments about pairing beer and wine with food that reads almost like ad copy. Cal-Davis beer professor Charles Bamforth's Grape vs. Grain is a much more informative comparison between the two beverages. But for a real introduction to what wine is, and isn't, choose Windows on the World. The nearly 350 page book is a tremendously useful and educational introduction to the flavors, regions, styles, grapes, traditions, wineries, and, yes, brands of wine. It's told in a bullet-point manner but without bullet-points, with full sentences and paragraphs. 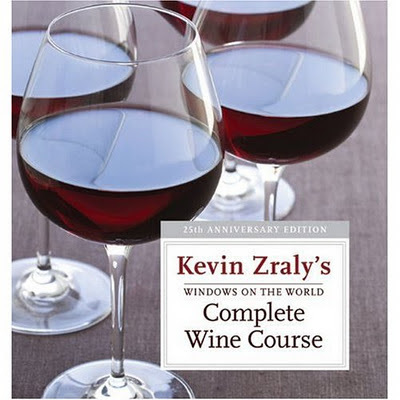 A reader could do much worse than Kevin Zraly, the author, as his wine instructor. Zraly was the wine director for the Windows on the World Restaurant for 25 years until 11 September 2001, when the restaurant, on the 106th and 107th floors of the North Tower of the World Trade Center, was destroyed when terrorists brought down the building and its twin, murdering thousands. Zraly was not at work that day; many employees and breakfast patrons were. He pays tribute to them in his book and at the wine school of the same name, which he re-opened elsewhere. In May of 2011, Zraly was awarded a James Beard Lifetime Achievement Award. The chapter on the Physiology of Tasting Wine ("You smell more than you think!") 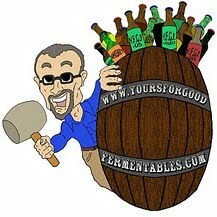 is one that anyone —cork-dork, Epicurean, or beer geek— can learn from and apply. It moves from specific to poetic. No two people are alike in either how they smell or the smells they perceive. It is deeply personal and experiential. Wendy [Dubit of The Senses Bureau] says Puligny to herself, simply because she loves the word nearly as much as the wine. It serves as homing signal that brings her to self and center —to a time and place and a wine she loves, and to the kind of bonds that endure. Kevin goes out on his porch with a glass of some favorite special vintage and looks into the night sky. Embodied in every sip is all that he treasures and honors about Windows on the World, and a reason to look up at stars. Sounds like beer, sounds like life, doesn't it?